Willing to do anything to preserve her family during WWII and gain her freedom from the oppression facing a woman in Southern Italy, Carina discovers the life she wins isn't worth living. Did I go too far to protect my family? What choice did I have? It started when I was seventeen. Mama sold me to a terrifying man twice my age. She said, "Carina, it's for the good of the family." 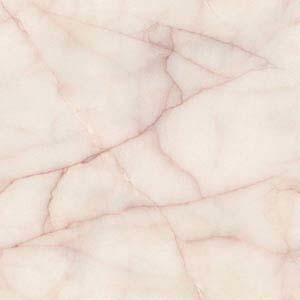 This was my fate for being born at the toe of Italy's boot in the small village of Reggio Calabria. It was here that the oppressive traditions of the South combined with the rules of the church and the mysteries of the gypsies to make me an outcast at the ripe old age of 17. It was the 1930s, and Italy still struggled to recover from the devastation of 'The Great War', yet everyone remained hopeful for better days under the guidance of our visionary leader, Benito Mussolini. Vincenzo Russo, the stranger I lived with, was my family now. People called him the "Prince of Naples," but to me he was cold and only married me to increase his holdings in the South using Mama's lands. I was lonely and scared; I longed to be at home with the brothers and sisters that I had given up my childhood to raise. Mama's actions also ripped me away from Domenico, the only person other than Papa who truly believed in me. Would I never see him again? Gradually, I learned that my 'Prince' of a husband ran organized crime in Naples with an iron fist. One by one, my brothers came to me for help to escape Mama's tyrannical rule and they found employment with Russo. He turned them into thieves and cheats, and his hold on all of us grew stronger each day. I longed to run away and Domenico was still willing; however, fate revealed that I was pregnant with Russo's baby and would be forever tied to him. Over the next few years, I gave birth to three beautiful children. I found myself helplessly entwined in Russo's world, pulled into his controlling vortex. Russo came to rely on me as a confidant, as I was the only person in his harsh world that he could trust. Over time, I organized his muddled finances and turned his chaotic organization into a well oiled machine. I became invaluable to him, and the future of my family was secure. For the first time, I felt powerful, strong, and almost happy. In 1940 Italy joined Nazi Germany in the war and life in Naples changed dramatically. Food shortages, martial law, and British bombings made life intolerable for most Neapolitans. Fate chose to add its tumultuous hand as well. During an air attack, a bomb hit our house and Russo went mad. Danger assaulted our family from every direction: the Nazi Gestapo, the dangers of war, Russo's own men, other crime organizations and my own brothers. I fought for control of my husband's organization as no one else possessed the brains or knowledge to run things. I masqueraded as my powerful husband in order to survive and succeed in the all-male world of organized crime. Sometimes, I even resorted to murder. What choice did I have when my children and those close to me were in danger? 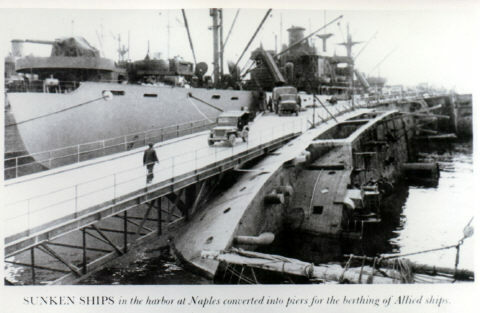 Sunken ships from Naples harbor converted into berthing dock for Allied ships. Despite my hardening heart, Domenico's kind ways brought out my humanity. My power and influence allowed us to help many Jews escape from the Nazis. Domenico led me to aid the Italian Partisans as well. As the American and British armies approached I supplied the freedom fighters with weapons and information that helped them drive the Nazis out of Naples. When I was with Domenico, I was not a hardened criminal, I was a woman. After the war, fate once again demolished my world. My ruse was exposed and everyone I had worked so hard to protect was threatened. I had no choice but to take my children and flee Naples, forever leaving behind my life with Russo, and my heart with Domenico. I planned to build a better life for my family in Rome, far away from the constant fear of death I faced in Naples; however, I could not escape the memories of that violent life. The woman in me willing to do anything to preserve her family couldn't live with the ghosts she had created.